30 Day Photo Challenge-Day 19 – A picture of you when you were little. Slippers made by G’ma, a groovy lunch bag, matching raincoat, hat and umbrella. 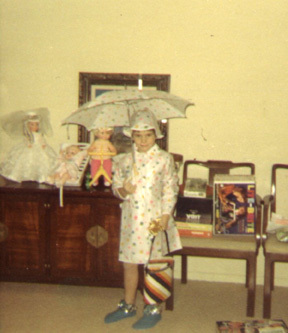 My mom made the dress for the bride doll and of course I got a doll who could ride a trike. It was a lovely Christmas.